Adventures of the Polka-Dotted Teacher: Solar System Fun, Updates & a Giveaway! Solar System Fun, Updates & a Giveaway! I hope everyone had a great week! It was a crazy week for me! We were out Monday. Tuesday and Wednesday were Professional Development days. Then Thursday we had a full day of school. Friday we went to school and at 8:15 we found out we were going to be dismissed at 10 AM because of the ice storm headed our way! So I taught for about 8 hours this week. Hopefully next week will be a little more normal, except for the fact that I am moving on Friday! Well, in Science, we just finished up our Solar System and Patterns in the Sky Unit! This is one of my favorite units because the kids get so into it! I don't get to do as much as I like to, because we have so many units now, but we still had fun! 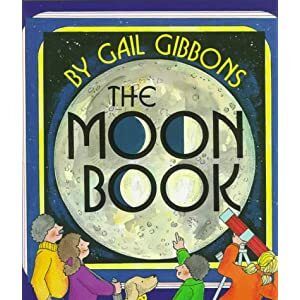 During our shared reading, we read all about the planets, Earth's Movement in Space, the moon, stars and all that fun stuff! I created a lapbook unit to guide our learning! This lapbook includes 9 foldables and 10 pages of reading selections! It's 75 pages of Exploring Space Goodness! You can check it out here if you are interested! We also read some other great books about the Solar System. I bought 25 of these for $1 from Scholastic! Love Scholastic! Love this Native American Tale! It's actually in our old basal, so I lug them out during our unit. What teacher doesn't love Gail Gibbons? Then of course we had to have some fun experimenting, this is Science after all! One of my favorite experiments I love doing every year is our Recording Shadows Experiment. The students trace their shadows while standing in the same place different times during the day. It's a great experiment to see the Earth's rotation in action! We also created Constellations after reading Coyote Places the stars. They created a constellation using yellow dots from a hole punch. and created an Origin Story for their Constellation! You can download the directions and printables for both of these activities free from my Teachers Pay Teachers Store! 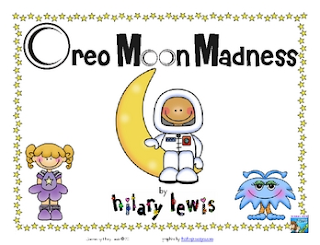 We also illustrated the Phases of the Moon with Oreos using Hilary's Freebie! My phone was dead and I couldn't take pictures, but the kids loved it! Since I've had some extra free time this week, I've updated a few products in my Stores to align them to CCSS. If you have already purchased them, please head to your My Purchases page on TPT or TN and redownload! Just click on any of the pictures below to check them out. These cuties are brand new! Ok, since you've stuck with me this long, I'm going to have a mini-giveaway! (You know how I love giving things away!) You could win one of my new items or even a $10 TPT Gift Certificate! I take the kids out and do shadows too! They love it! I like your constellation activity! We are starting fractions in 2 weeks and this would be perfect. We had an early dismissal because of the storm as well as several professional development days....I didn't get much teaching in either! I love the solar system lap book! Love the lapbook! Looks great! The lap book looks like an exciting project! All of those are so cute!! My kids loved the States of Matter lapbook...I'm sure they'll love these as well! Just did your geometry lapbook....would love another one!! They go crazy when I can't take a pic- I need a back up camera at school! Thank you so much for all your fantastic ideas! I am heading to teach a 3/4 combo next year and am already gathering ideas! I love it all. I need to redownload the fraction and multistep cards. Solarsystem is next for us! I LOVE your lapbooks:)! Thanks for the giveaway and good good luck on your move. Thanks for the awesome ideas and the freebies! We're getting ready to start our solar system unit. I loved the fact that we taught for a whopping 8 hrs this week!!! Your newest lapbook is awesome! I love using your lapbooks in my classroom! Thanks for sharing all your wonderful products and ideas!! Girl, these activities look adorable!!! Thanks for the give-away. It looks GREAT!! The solar system lap book looks awesome! I love the lap book! I will be adding it to my cart. It looks great! Lots of great ideas here! I have never done the shadow thing and we are just wrapping up our unit... need to add this to my lesson plans for Monday! Thanks for the giveaway! I've been a long time follower... loveee your stuff!!! You read my mind!! 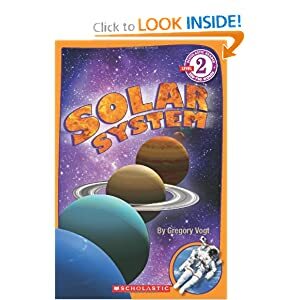 I'm new to third grade and was just thinking yesterday that I needed a fun solar system unit! You always have great ideas! Love your blog and products! Can't wait to purchase and use the wintry fun task cards! Thanks for the giveaway! Thank you for the opportunity! Love your ideas! Entered with my FB name (Danny Taylor Rhonda). to get my students to understand the difference between rotation and revolution we put our finger on the top of our head and spin while making a path around the school while we are spinning. You do need to take a few breaks because you don't want and "Star Dust" from being to dizzy or anyone to fall but my students usually remember by the end of the activity. This post was jam-packed full of ideas! Keep them coming! Thanks! WOW...lots of cool ideas. I've done the Oreo Cookie Phases of the Moon, the kids loved it. I'd never thought about doing a lapbook. I will be trying that for sure. Thanks!!! Such great resources and ideas! I love the Oreo moon phases idea. 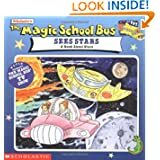 Did you let your students keep the solar system books? My students always love finding books in our classroom library that go along with what we're studying. I'll have to keep my eyes open for $1 books that pertain to our content areas. Thanks for the giveaway! Love your products- ALL OF THEM. I am going to be able to use the constellation activity next year when we go to the Planetarium again. Love your lapbooks- fractions is next up. How deep do you go into division? It is such a large part of Grade 3 CC now and I am finding resources a bit scarce and not really geared toward the 3rd graders. Your solar system lap book looks great! I love reading your blog! I just finished the solar system, but can pack it away for next year. We are just beginning fractions. You have really awesome products that my students love using. Thanks for sharing! I'd forgotten about Coyote Places the Stars! That was in our old basal as well. Perfect for our science unit! Thanks for sharing! I've just started using lap books in my classroom ... not only do I love them, but so do my students! When they see the file folders out they get excited! We are working on the Solar System too and my kiddos are loving it! It sounds like you had a crazy week...I hope next week gets back to normal for you! I LOVE your lapbooks! I can't wait to get it! Love your constellations! They turned out great!